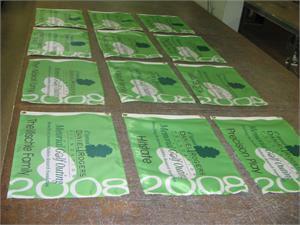 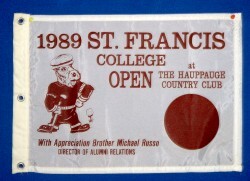 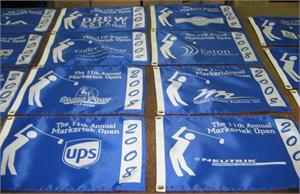 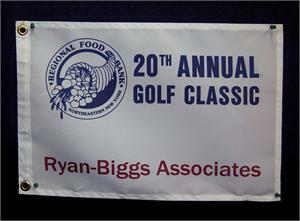 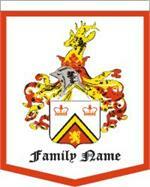 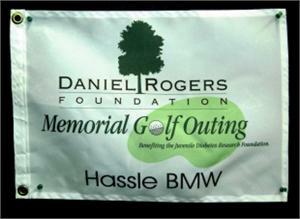 Golf flags can be customized with sponsor name, customer or tournament logo, dating, and hole number. 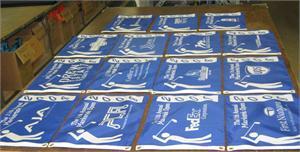 Based on your custom layout, golf flags can be produced in the standard 14" high x 20" wide golf flag size. 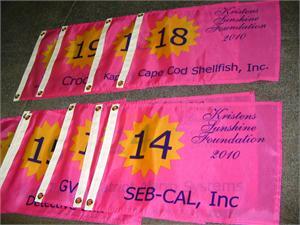 They can be customized with your speciifc copy and logo, dating, hole number or sponsor name. 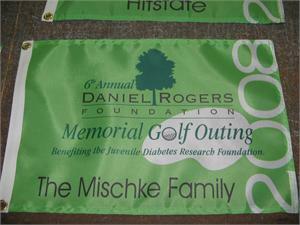 We produce these flags in any quantity, dye-printed in full color using the dye-sublimation method of 200 denier Dacron polyester fabric. 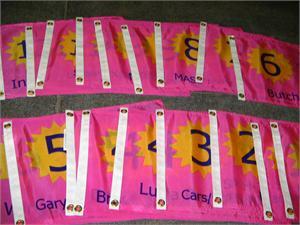 The flags can be finsihed with heading and grommets or mounted on vinyl golf rotator tubes that fit onto the top of a regulation golf pole. 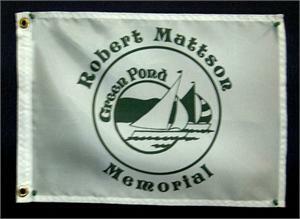 The flags are double-needle stiitched and single-side dye-printed.